Traveling long distances by train for first-timers can be difficult to imagine. 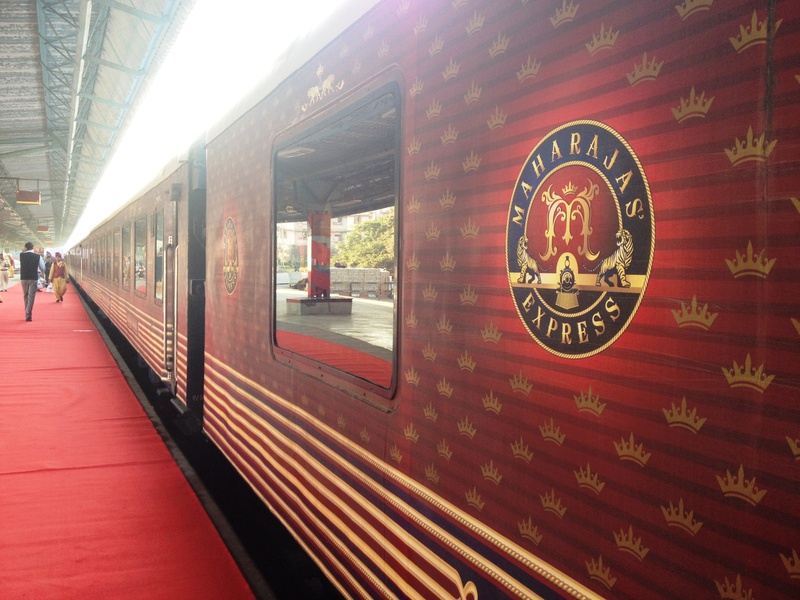 Having been on a few long distance luxury train trips and, specifically on the Maharajas Express, I wanted to share a few things I wish I had known before embarking, some of which are the product of my expectations being wrong. 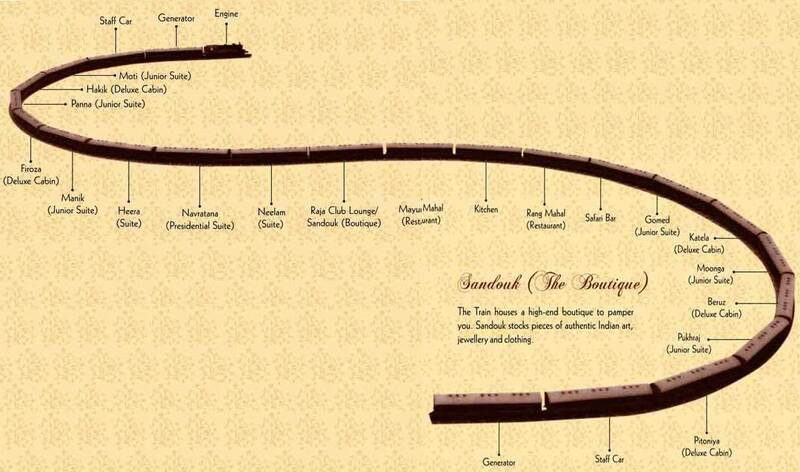 Hope the below helps you when planning a journey through Rajasthan – above all, it will surely be memorable! Because the train is so long (1 km) you will be walking a lot. Embarking and disembarking happens through the lounge carriage only so if your room in the farther end you will have to walk the length of the train every time. Not to mention if you forget something. Also, the visits usually involve more walking because palaces and forts can only be visited on foot. Bring comfortable shoes as the paths are unstable and irregular. Unless you have paid for your own guide or are staying at one of the suites which comes with its own driver and guide you will essentially be joining a group of strangers for the 7 days and the train is not very big so you are likely to run into each other and spend a lot of time together. 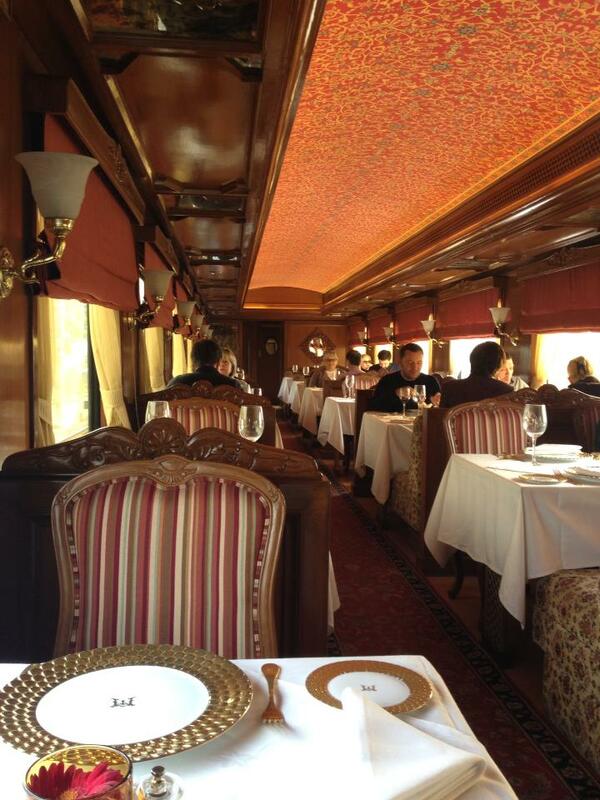 As opposed to other luxury trains, we had a table to ourselves at every meal, so we did not have to socialize at lunch and dinner. Come with an open mind and lots of tolerance. On the flip side, everyone onboard was educated and respectful so, if anything, we got to interact and chat with very interesting people. And by that, I do not mean that you bring black-tie outfits for dinner. The days of enjoying a dry martini in a bowtie are long gone, even on a luxury train. Other passengers dress appropriately and people do come to dinner with elegant clothes but this is not an occasion to take your ball gowns for a show. For the excursions, you are advised to bring clothes adapted to the weather, which may change drastically throughout the trip. A shawl will come in handy in several situations. So at most, just get a few nicer outfits for dinner and bear in mind that it might be cool (in the AC-ed summer) or warm in the heated winter. Although the program is vast there are a few excursions that are indicated as optional. 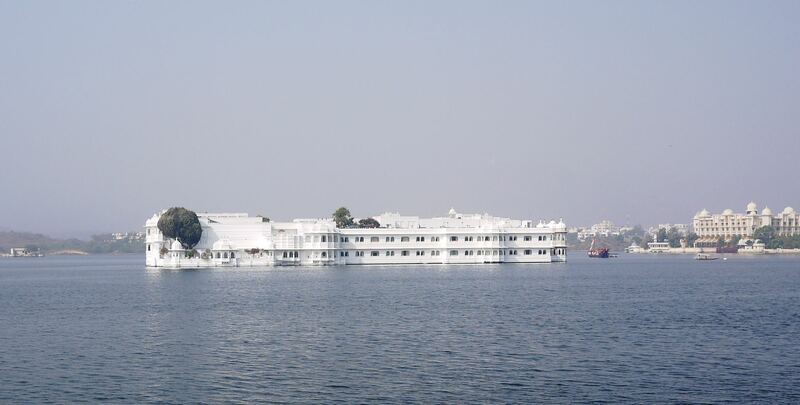 Some of them are well worth a go like a boat trip to Lake Pichola’s absolutely breath taking Taj Hotel, one of the most romantic places I have ever seen. These excursions are not handled by the train company but by the various operators they work with at every stop. We were once taken for a “shopping opportunity” during one of them but I must admit it was a one-off chance in the entire trip. The train may be new but the railway tracks certainly are not. They are the same tracks that were engineered by the British a few decades ago and so they are noisy and make the train rattle and shake considerably generating a lot of noise. Also, the whistle will blow at every station, many of which are crossed in the middle of the night. A pair of earplugs will come in handy to help you sleep but budget a couple of nights before you get used to the noise and the movement. The whole distance between Mumbai and Delhi could be driven in a 24h trip but the train covers it in 7 days so don’t expect to be gazing out the window much. There was only one day which was spent in the train the rest are mostly out and about in the various excursions. There is less of a “staring at the world go by” than I had imagined because the train usually moves at night or even without the guests on board. At times we disembarked from one station and returned to another. This could well be because the railway company forced the train to move. Train timetables in India are only approximate. When I booked I was convinced I had done it through the train owner and operator but onboard, I realized that I had actually booked via one of the many India Luxury train websites that are extremely misleading. There is only one page to book directly and it is the one here operated by the Indian Holiday Pte. Ltd.
Don’t forget to ask for offers and discounts including free nights before and after the trip. Although you will find enough closet space to hang some clothes and store your suitcase under the bed to put away the things you don’t need cabins are compact so bring only as much as you need. There is laundry onboard to wash your clothes making it even easier to travel light. Bear in mind the changing weather from Mumbai to Delhi in the winter months.